The name is dumb, let's get that right out of the way, eh? But it's dumber than you at first think it is. 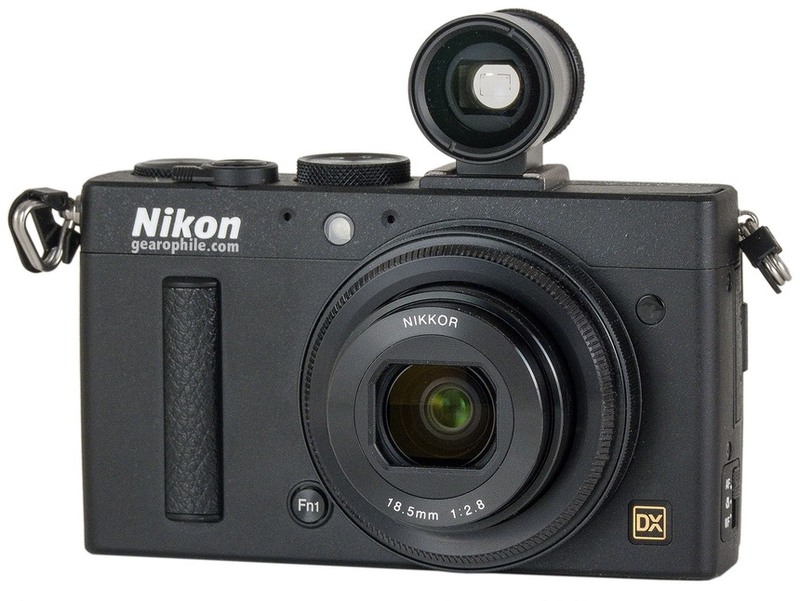 Basically, a Coolpix A is a compact camera version of the Nikon D7000 DSLR. In almost every respect. Previous to this, Nikon has restricted the Coolpix name to cameras that aren't large sensor and generally aren't high-end (that's despite the "P", or professional series, Coolpi). So much so that they chose to call their mirrorless entry something other than a Coolpix, when it was more Coolpix-like than the A is. I suppose this is Nikon's way of saying "we're starting over" (first we get the 1, now we get the A; what next, the !?). But that's part of my point: they're not starting over: this is a refined Coolpix body (akin to the P330 with better build pedigree) with a DSLR's sensor, imaging, and menus. If anything, it's a repurposing. The Coolpix A is a 16mp DX sensor, coupled with a new 18.5mm f/2.8 collapsing lens, seasoned with a subset of the D7000's menus and capabilities, stuffed into a much upgraded Coolpix P style body. It's actually almost exactly one of the variations I asked for eight years ago on the bythom.com site. When I say D7000-like, I mean D7000-like. The 14-bit NEFs coming out of the A are every bit as good as what the D7000 produces. In some respects, they're better, because the 18.5mm lens Nikon stuck out front is far better than any 18mm option you can stick on the D7000, and Nikon took the AA filter off the sensor, so there's no dispersing the light across pixels other than what diffraction might create. Nikon seems to have taken the D7000 transplant pretty literally: same EXPEED2 processor, same values in some of the subsystems (like NR tuning). We do get a subset of the menus, though: we don't get to control NEF bit size or compression, nor do we get a few other deeper settings. Surprisingly, a few of the "new" Nikon menu options did make it into the A; the ability to control whether flash and ambient exposure compensation interact or are completely separated comes over from the D7100, D600, and D4. The A takes the same accessories as the D7000, including the GPS, remotes, and even CLS flashes (though the internal flash on the A cannot control remotes, a serious lapse, in my opinion). Focusing on the A is via contrast only. Nikon didn't put the Nikon 1's phase detect-on-imaging-sensor into the A, and that's a problem. The Coolpix A sells for US$1100, far more than the faster focusing Nikon 1 models. Also, given that the Fujfilm X100s now has phase detect focus on the imaging sensor, it seems that Nikon is a bit of a slow mover here. About that US$1100 cost: add some more cash to the pile. Nikon left off an optical finder (US$380 option; shown on image at top of page), plus filter rings and lens hood (US$100 option). You can add on a WU-1a WiFi adapter, a GP-1 GPS module, and buy an MC-DC2 (or wireless ML-L3) remote and push your total bill up over US$2000 for a fixed lens compact camera with all the frills (and a lot of ugly warts and a cable extending from the body). Note that the Ricoh GR also uses basically the same sensor without AA filter, has less expensive accessories (though it doesn't have all the options the Coolpix A has), but sells for US$800. Nikon's at the pricey end of the spectrum here, and we're likely to see more players come in at lower prices as time progresses. I also need to talk a bit about the choice of focal length used in the Coolpix A. When you make a fixed lens in a compact camera, you have a tough choice of what to do. The "reasonable" choices are probably 24mm, 28mm, 35mm, and 50mm equivalent focal lengths, with the two middle choices being the least "dedicated." Historically, the choice has been 35mm, and that's what Fujifilm put into the X100s. I'm not a big fan of that focal length. It's a big blah when it comes to perspective when used normally. It's the "neither wide angle nor normal" choice, basically. I personally have no problems with Nikon's choice of 28mm—it's closer to the way I normally shoot street and casual images (closer and wider). I would have preferred 24mm, but that's a bit extreme for most people. 50mm is close enough to 45° that you should be able easily mimic that without a camera: put one arm exactly out to the side of your body the other exactly in front of you (90°). Now halve that angle by moving one of the arms and move your head so that your eyes are centered between your spread-out arms: that's about 50mm. That angle is very constraining in tight spaces, less so in wide open spaces where you can back up. Each choice below 50mm reduces the constraint, but it's also going to make a near subject look smaller in the frame. I don't like to be constrained—indeed, I often move in very close to subjects—so I like 28mm better than 35mm, 35mm better than 50mm. On the other hand, if you're just trying to copy your smartphone with a far better lens and sensor, 35mm might have been a better choice. The original iPhone up through the 3GS models were 37mm, the newer iPhones are about 33mm in practice. The Coolpix A is made in Japan, something that's a bit unexpected. All other Coolpix models are made in China. Okay, I see what they were doing here, but I'm not sure I like it. If you're a Nikon DSLR user, you're used to the playback and MENU buttons being to the left of the LCD and things like exposure compensation being up top on the right. The Coolpix A essentially reverses that with two shooting controls on the left button stack, and the playback and MENU buttons moving over to the right thumb position. In one respect, Nikon's right. Given the small form factor here, the best way to keep the camera steady with two hands and change controls is to press a button with your left thumb and twirl the command dial with your right. But most Nikon DSLR users will find this a bit jarring at first. I'm going to give them a pass on this, as you should be two-handing this camera and the change makes sense in that regard. Meanwhile, Nikon has put the Fn (function) button on the front of the camera under the lens, as with some of the DSLRs. Huh? It's a bit odd in position because it stretches your shooting hand a bit to reach it. It should be up higher on the front alongside the lens, I think (under the middle finger position while shooting). We've got a focus switch on the left side of the camera (as you're holding it), which controls AF, macro, and MF modes. The manual focus is focus-by-wire with the ring around the lens, not manually coupled. It works okay (and you can magnify the image while focusing via the zoom buttons), but it isn't particularly fast or precise. There's no focus peaking to help, either. The menu system is pretty nicely simplified from the DSLR menus. Like the consumer DSLRs, the Coolpix A has a U1 and U2 position on the Mode dial for user settings, so there's Nikon's slightly odd manner with which those work to get used to. We've also got two programmable buttons, though the options of what you can set are slightly limited from what you find on the DSLRs. As many have pointed out, a number of frustrating aspects come up in using the camera, though. Some are partly due to the "taken from DSLR" approach, some are just serious omissions by Nikon. For example, a lot of people are complaining about Image Review always being on. Well, it is on by default, but you can turn it off by choosing an option in the PLAYBACK menu. That's where Nikon puts it on the DSLRs, but it's not the intuitive spot to find it, as technically it impacts your shooting (by interrupting it with a playback). Thus, people look for an option in the SHOOTING or SETUP menus and don't find it, then think the camera doesn't have that option. 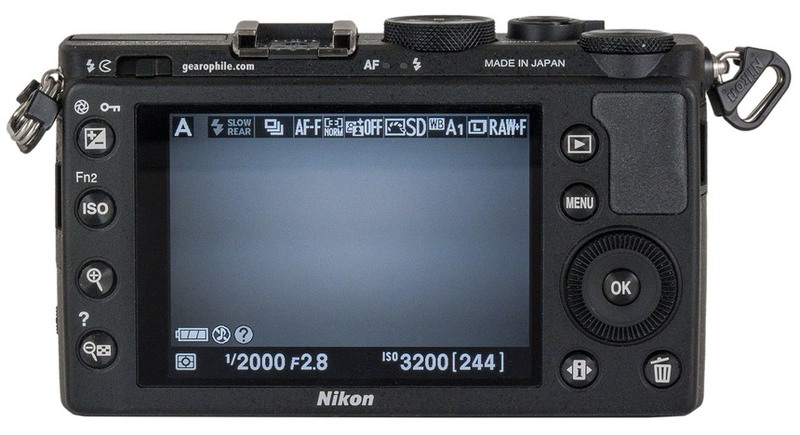 Given that Nikon did some rearrangement and rethinking of menus, this one could go either way. I had no problem finding the option, but I'm a long-time Nikon DSLR user, so knew where to look. Other subtle things are dicier. The two dials (Rear Command, and dial around the Direction pad) aren't as useful as they could be. In Aperture priority mode, for example, the Direction pad dial does nothing and you can't assign anything to it. The camera doesn't remember manual focus distance when it powers off, a real problem for zone/hyperfocal shooters. There are several of these "what were they thinking bits," but none of them are game enders. Overall, most of the handling issues are pretty much what you'd expect when you try to take DSLR-type options and reduce them to a meaningful and useful set on a very small camera body (big shirt pocketable). Still, it seems Nikon took the lazy route in cutting down the D7000 into a Coolpix: plenty of missed opportunities abound that could have made this a really slick handling camera. Instead, it's sort of compact-camera-with-DSLR-pretentions, but not quite fully fleshed out. Oh, about the grip: there's not much of one, but it's just enough to barely get by most of the time. Personally, I wish for a Franiec-type grip for this camera, plus a bit more thumb rest. But I can get by with what Nikon gave us. The larger your hands, the less likely that is, though. Ditto with using gloves with the camera. Update: got hit with a basketball while shooting today and guess what broke? The battery compartment door. Why Nikon would put a mostly plastic and flimsy battery compartment door on a US$1100 camera, I don't know. Fortunately, I know how to fix the door, though it will now be more likely to fail in the future (weak folded metal choice holding the plastic "grip"). The EN-EL20 battery is a bit small in capacity for the camera, especially if you use the built-in flash a lot (hint: don't, except when you need to; an SB-400 up top gives you more power and gets the light further away from the lens). Nikon's default time-out settings aren't very aggressive on the Coolpix A; you're dragging a lot of power demand if you leave them as set, but you don't have as flexible options as you really need. Indeed, one of the handling issues Nikon punted on is a simple one: if you're using the optional optical viewfinder, do you really need the LCD on all the time? There should be an option to turn the LCD on only for setting something, but there isn't. This is definitely a "carry an extra battery (or more)" camera, though I was surprised to be getting >350 shots per charge most of the time. The focus system is disappointing for a US$1100 camera. It's accurate, and it's about what you expect from a good compact camera contrast detect system, but it just isn't up to the A's otherwise high standards. Macro focusing is particularly slow, and normal AF isn't going to win any speed awards. You can configure the camera to be a "street shooter" by slipping into manual focus, setting a particular footage point (which you've predetermined by DOF calculations), setting a small aperture, and just shooting from the hip. I suspect a lot of folk are overlooking that possibility, and it definitely works well, especially given that you can turn off the shutter sound and get a nearly quiet camera (it makes an extremely quiet click-click without the shutter sound turned on; many people aren't going to hear this camera's actual shutter if they're just a few feet away from you in a quiet room). But note that manual focus distance isn't remembered when the camera turns off. Another missed handling opportunity. Where the A excels is in image quality. As I've already alluded to, the image results out of the Coolpix A actually exceed those of a D7000, partly because of the good lens/sensor match. It was a little surprising to me to not see a noise boost at the high ISO values with the AA removed, so I'm perfectly comfortable shooting with the A at ISO 3200 if need be. Even in macro mode, the lens performs pretty well. Here at f/2.8, the bokeh is very refined, with no rough touches. The lens is probably better than the sensor. It's already sharp wide open, with very little to complain about even at the extreme corners. Chromatic aberration is well under control, though I see a bit of longitudinal chromatic aberration, a common trait of fast prime lenses. That's just not bad enough here to worry about, though. The lens performs better when shaded, which just goes to call into question the whole expensive optional hood decision Nikon has made. In macro mode the lens is a little weaker than in normal use, but not by much. Of course, at 28mm, "macro mode" isn't exactly going to bring small details to full frame. 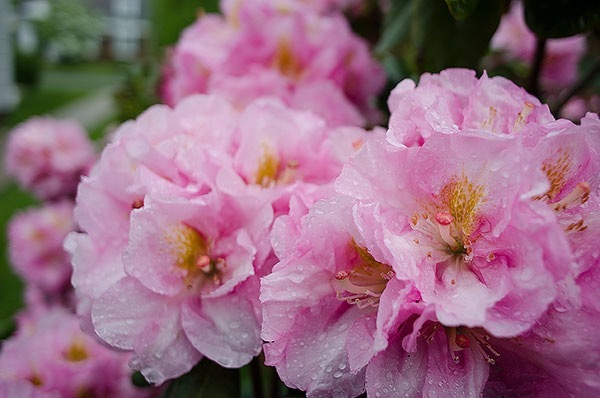 Those are relatively large flowers in the above frame, but there was still no way to get an isolation on an individual flower due to the wide angle nature of the lens. The Coolpix A is a bit odd: high priced, high performance in image quality but low in focus performance, most-but-not-all of the DSLR type features it promises, a really strong quality build except for the cheapish Direction pad and dial, some very high priced accessories that you'll probably want, and a few other small warts and wrinkles where controls are lacking what I'd expect from a US$1100 product. Overall, I'd have to say that Nikon didn't quite nail it. If they were really going the high-end route for their compact large sensor cameras, they missed too many things, I think. The grip needs improvement, a few parts are a little low quality for the price, they didn't quite get button placements right, the lack of commander mode in the internal flash is silly, and they have some other missing options as well. But the real killer is the focus speed. It's decidedly consumer compact camera-ish at best. That, coupled with no VR are the true Achille's heel of the Coolpix A. What Nikon did nail is the lens/sensor combination in terms of performance. Image quality is very high, probably as high as most people will ever need. While some might wish for a faster lens (f/2, perhaps? ), I'm comfortable with what Nikon put on the camera given its overall performance. Not quite perfect into the corners wide open, not absolutely perfect in terms of distortion, but very very good for a wide angle. That we don't have an equivalent lens choice for the DX DSLRs seems not only odd, but a real lapse. Why should a Coolpix A shoot at 28mm equivalent better than a D7000 or D7100? The competition in large sensor compacts is getting stronger now. Sony has the RX-1 and RX-100, which reflect two different approaches and both are very strong performers for their intended use. Indeed, the RX-100 is still my large sensor carry-all-the-time choice over the Coolpix A, though I'm giving up image quality in that choice. Canon, Fujifilm, Leica, Pentax, and Ricoh are all now playing in the game, in some way, too. The most well-rounded of those so far probably is the Fujifilm X100s, but it's also one of the few second generation products. And that's pretty much where I land on the Coolpix A: we need a second generation. One with phase detect autofocus, a bit more attention to small handling issues, and some additional bits of the DSLR functionality without loading up the menus/controls. The sensor and lens? Keep 'em (though I suspect the new 24mp Toshiba sensor will slot right in there and keep the image quality at the forefront). Nikon has tempted us so much with the A, and it hits very close to the mark. But it doesn't actually hit the mark. At the price, I expected that it would.